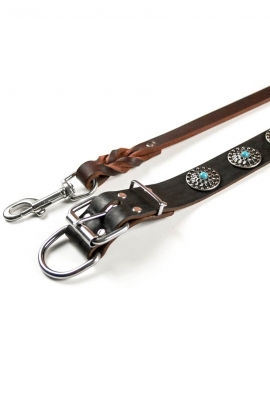 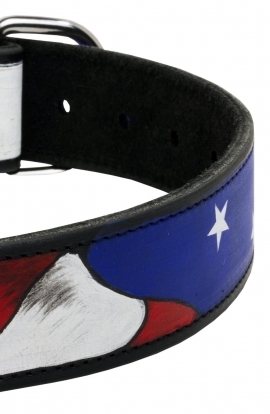 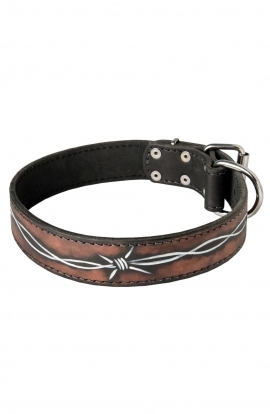 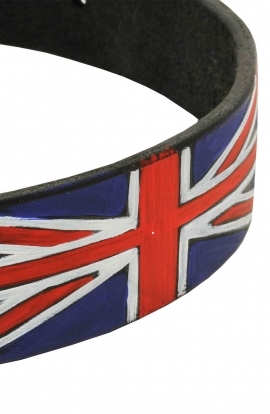 This excellent in its design leather dog collar features beautiful handmade painting of American Flag on its surface. 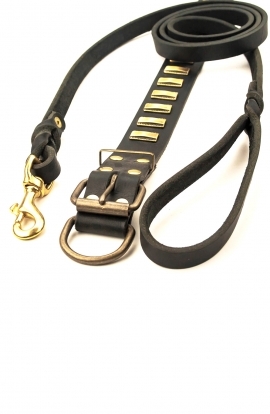 The basis is black and the fittings are strong nickel-plated. 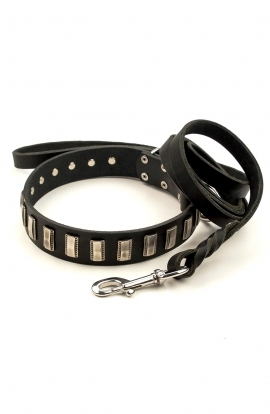 They include buckle, convenient D-ring and strap keeper. 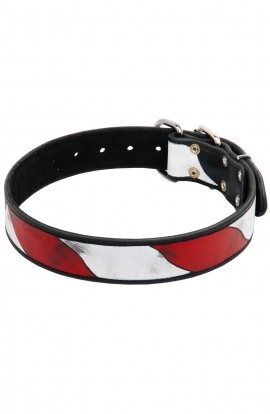 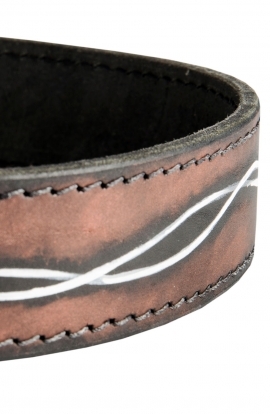 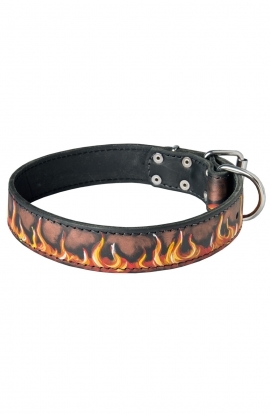 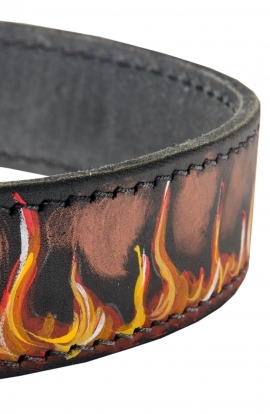 This dog collar is made of genuine full-grain leather and features contemporary drawing applied manually by creative artists. 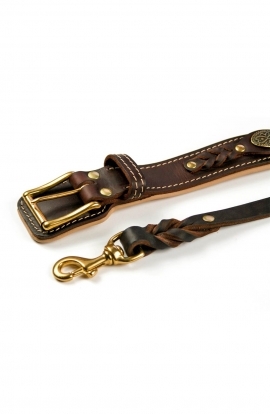 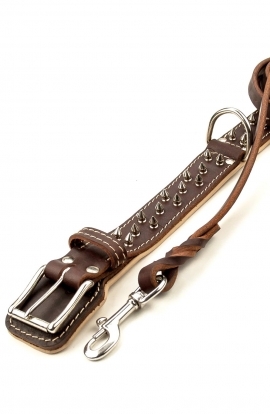 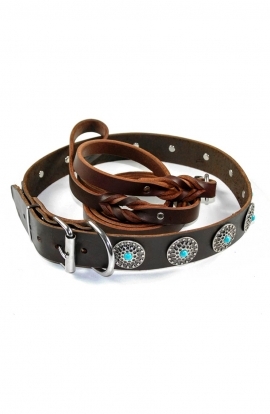 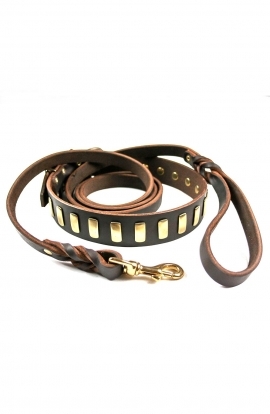 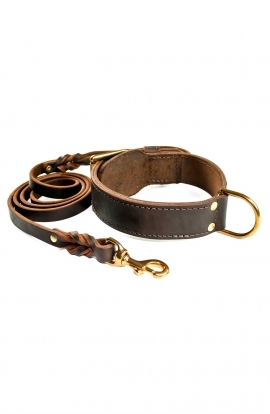 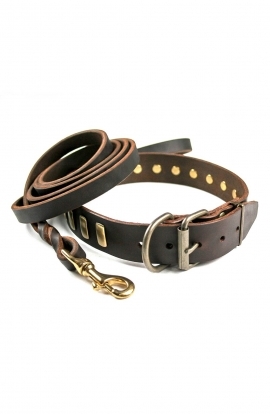 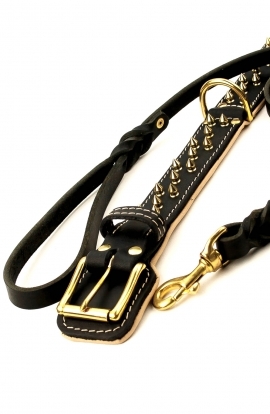 Soft and lightweight this collar is ultimate in luxury for your dog.